PhD in Finance (Queen’s University, 2011). My research interests are in empirical corporate finance and investment. 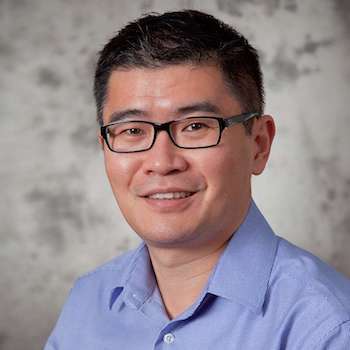 Social Sciences and Humanities Research Council of Canada (SSHRC) Insight Development Grant, 2017-2019, co-applicant, with Li Yao (principal applicant), $47,788. Social Sciences and Humanities Research Council of Canada (SSHRC) Insight Development Grant, 2014-2016, co-applicant, with Kai Li (co-applicant) and Jiaping Qiu (principal applicant), $70,508. Social Sciences and Humanities Research Council of Canada (SSHRC) Insight Development Grant, 2012-2014, principal applicant, with Kee-Hong Bae (co-applicant) and Jun-Koo Kang (collaborator), $53,626. Canadian Securities Institute Research Foundation Scholarship, 2010-11, $25,000. “Technology Conglomeration, Strategic Alliances, and Corporate Innovation,” joint work with Kai Li (University of British Columbia) and Jiaping Qiu (McMaster University), Management Science, forthcoming. “Does Increased Competition Affect Credit Ratings? A Reexamination of the Effect of Fitch’s Market Share on Credit Ratings in the Corporate Bond Market,” joint work with Kee-Hong Bae (York University) and Jun-Koo Kang (Nanyang Technological University), Journal of Financial and Quantitative Analysis October 2015 (vol. 50): 1011-1035. “Do Firms' Relationships with Principal Customers/Suppliers Affect Shareholders' Income?,” Journal of Corporate Finance September 2012 (vol. 18): 860 – 878. “Employee Treatment and Firm Leverage: A Test of the Stakeholder Theory of Capital Structure,” joint work with Kee-Hong Bae (York University) and Jun-Koo Kang (Nanyang Technological University), Journal of Financial Economics April 2011 (vol. 100): 130 – 153.